Homepage / Checkbox Survey: Hosted in Canada. Checkbox Survey: Hosted in Canada. Online surveys with secure, 100% Canadian hosting. 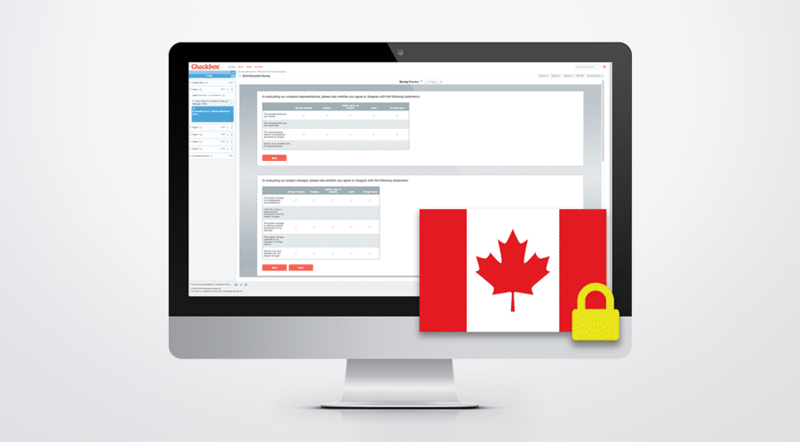 Checkbox Online helps Canadian companies collect important customer feedback in total compliance with all Canadian and provincial privacy laws. Our survey software includes best-in-class features for online survey creation, distribution, data collection and analysis. And now, we provide secure data and application hosting entirely in Canada, using Amazon AWS. * Canadian hosting is available with an annual pro, team, or enterprise subscription to Checkbox Online.